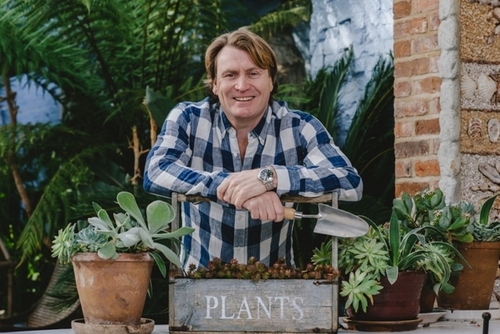 TV gardener David Domoney has created three themed garden displays for Everest Home Improvements at this year’s RHS Hampton Court Palace Flower Show, which will raise funds for charities nominated by well-known gardening and countryside personalities involved in the event. Bill Oddie, Julia Bradbury and Carol Klein are three of the eight TV celebrities who will be appearing on stage at the show’s RHS Celebrity Theatre, which is supported by Everest. They were each asked to nominate a charity to be featured as part of this initiative, with Bill Oddie selecting the Woodland Trust, Julia Bradbury choosing Mend our Mountains and Carol Klein nominating Mesothelioma UK. Located beside the RHS Celebrity Theatre, the three garden displays have been specially designed by David Domoney to reflect the nominated charities, bringing in elements of contrast to encourage people to think about what that charity represents and the difference it can make. Visitors to the show will be invited to vote for their favourite, with donations being presented by Everest after the event depending on the number of visitor votes each collects. Each of the gardens also features a front door and window from Everest’s wide range of products, including new additions such as its stylish House Beautiful doors collection, created in collaboration with interiors magazine House Beautiful; its state-of-the-art acoustic glazing, which keeps unwanted noise outside; and its impressive flush casement uPVC window, which has been designed to resemble a sleek aluminium or classic timber window. The RHS Celebrity Theatre, supported by Everest, gives visitors to the show an opportunity to watch and listen to a range of TV personalities throughout each day. The celebrities will be talking about their passion for gardening, wildlife and nature, as well as providing tips and expert advice. Alongside the RHS Celebrity Theatre, the Everest stand will showcase a range of products including its highly energy efficient triple glazed window. Visitors will also be given an exclusive preview of the Everest garden room, styled to look like an attractive home office. Due to be launched by Everest in the near future, this versatile space is an appealing and practical addition to the garden. The RHS is committed to bring the joy of gardening to millions more people, inspire the next generation of gardeners and invest in the future to safeguard a £15 billion industry employing more than 300,000 people. We are entirely funded by our members, visitors and supporters. RHS membership is for anyone with an interest in gardening. Support the RHS and help us secure a healthy future for gardening.